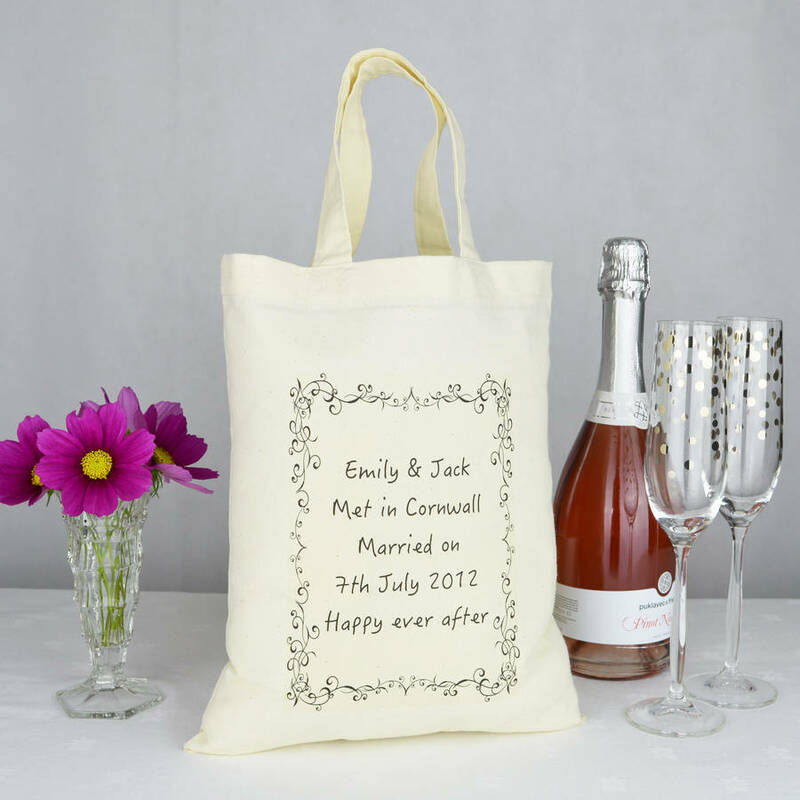 Being personalised this is such a lovely Gift Bag for an Engagement, Wedding, or an Anniversary. Perfect for the Bride & Groom, pop a present inside and really make a difference when delivering your gift! 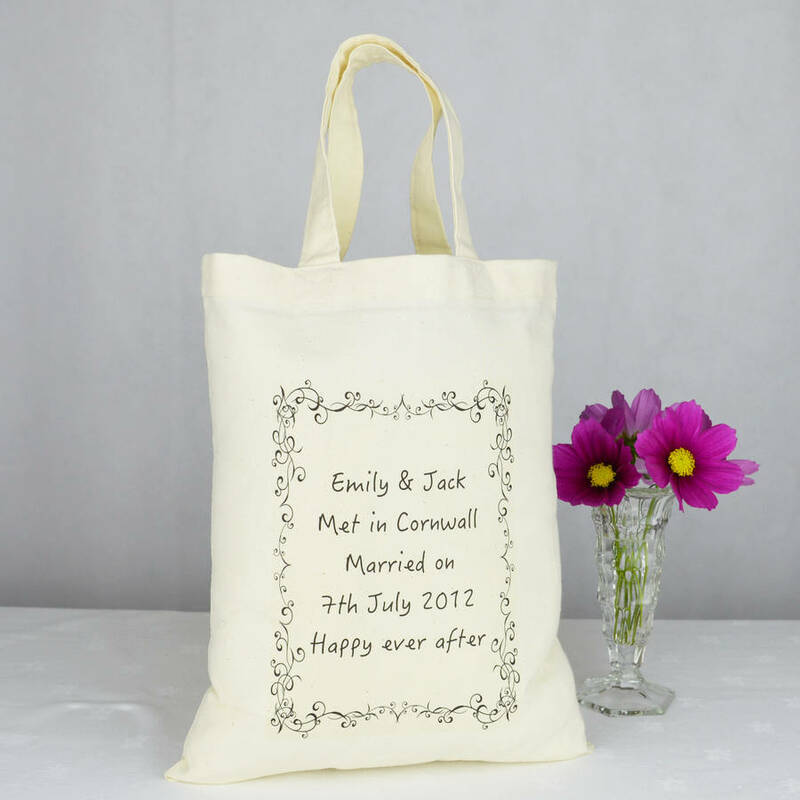 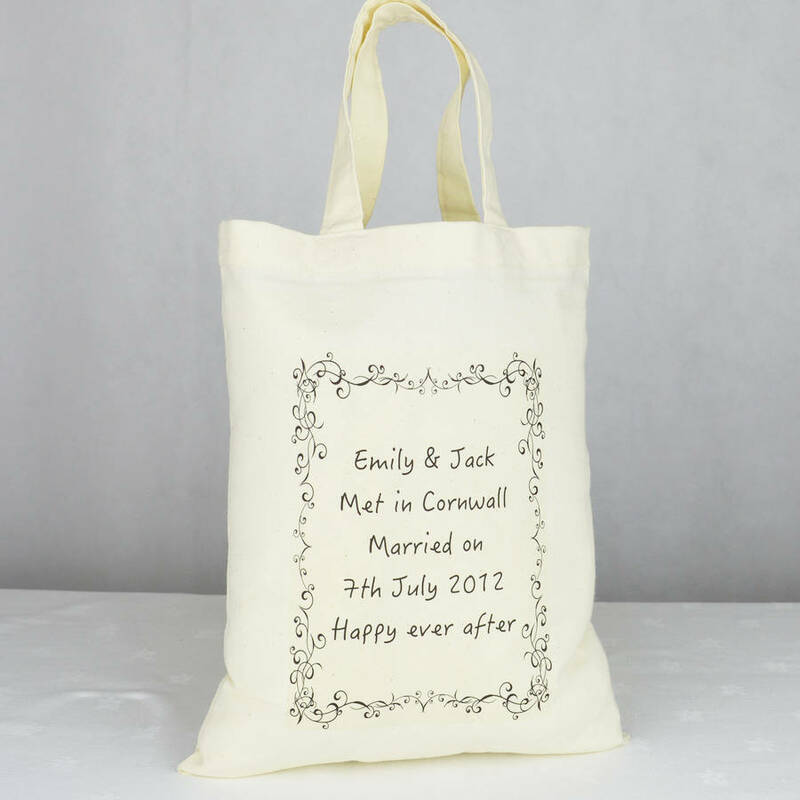 These are also lovely as a 2nd Wedding Anniversary gift bag, given that they are 100% Cotton! 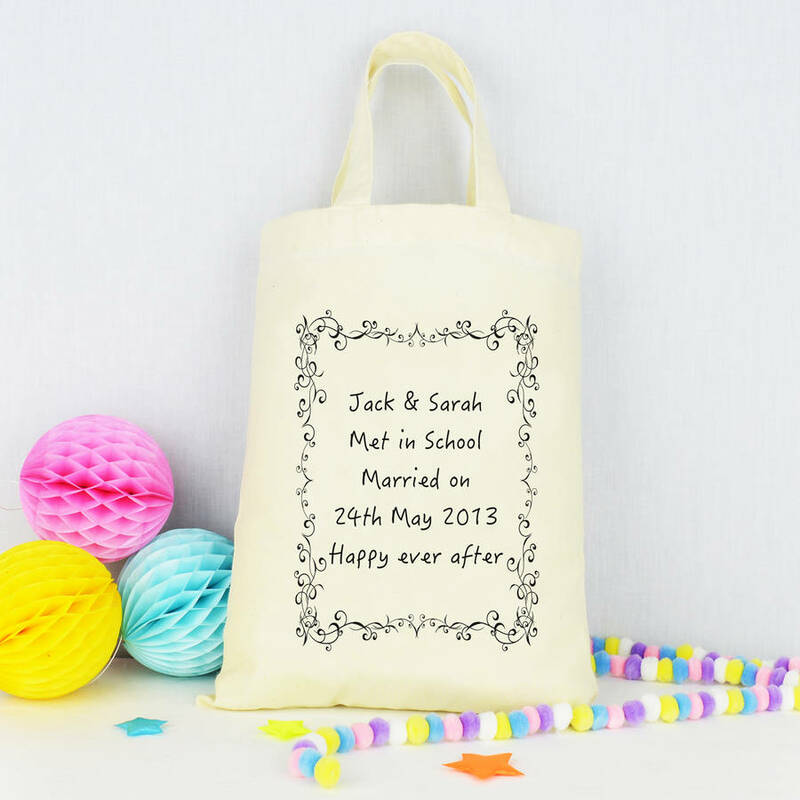 Should you require alternative wording other than, 'Happy ever efter', please type this in the last personalisation box.